Engagement measures the number of times someone took action on your posts. That could mean clicking a link, sharing your post, making a reaction or leaving a comment. There are a couple ways to track engagement. The first is through Facebook Insights. 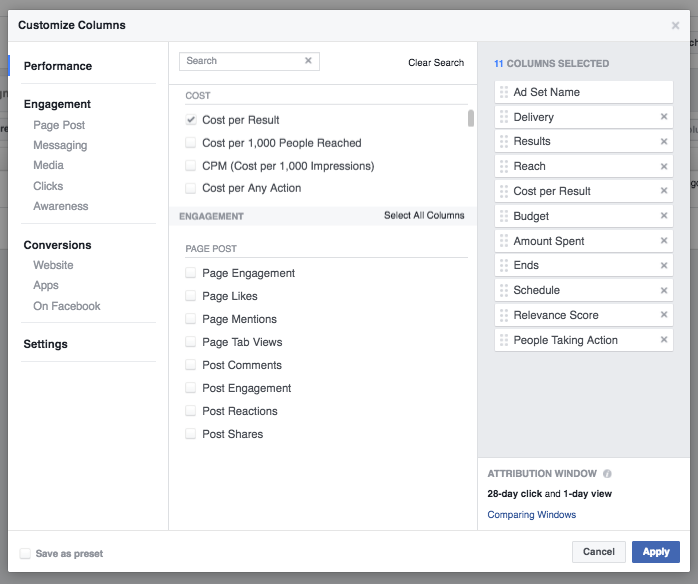 Another option is to use Sprout’s Facebook Analytics tools. Our reports show you how much engagement your page and posts receive, as well as the types. As you know, Facebook uses an algorithm to determine where your posts show up in your followers’ News Feed. The purpose of the algorithm is to surface posts users are most likely interested in. Reach is the number of people your content is seen by on Facebook. This can be through either paid or organic efforts. As we mentioned earlier, Facebook switched to an algorithm based feed years ago. As a result, many businesses saw drastic drops in the amount of people their content reaches organically. Some studies have reported as low as 2.6%. So even if you’ve built up a large audience, it doesn’t mean they’ll all see your posts. That’s where reach comes into play. 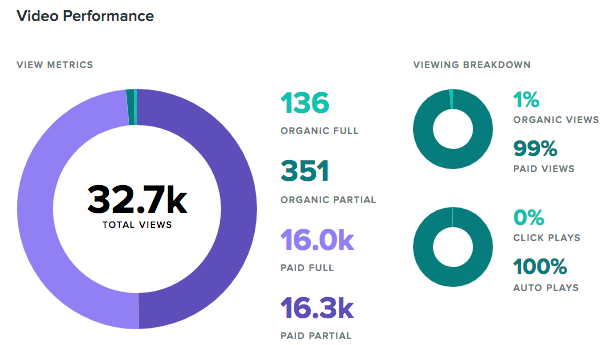 You can see an overview of your reach by going to your page Insights. If you want more details, you can click on the Reach tab. 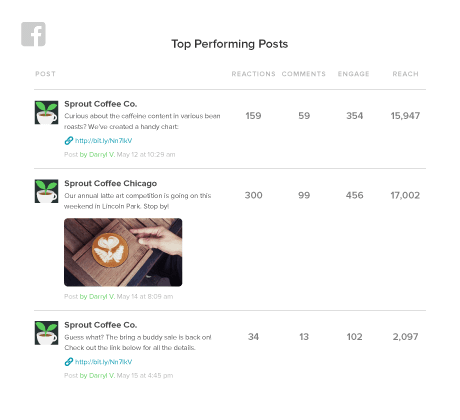 You can also monitor the reach of your posts in Sprout’s Facebook reports. While Facebook organic reach for brands has decreased over the years, that doesn’t mean you shouldn’t measure it. Keep in mind that the rates you read online like the 2.6% we quoted earlier are averages. There are brands that are able to reach a larger piece of their audience. Plus Facebook Ads can help you reach a larger audience as well. For instance, Christina Guan from Happy to Wander was able to reach over 950,000 people organically with a single post. But not every single one of her posts receives that same level success. This illustrates the importance of tracking reach. It helps you learn and understand what your audience likes, and why certain posts outperform others. 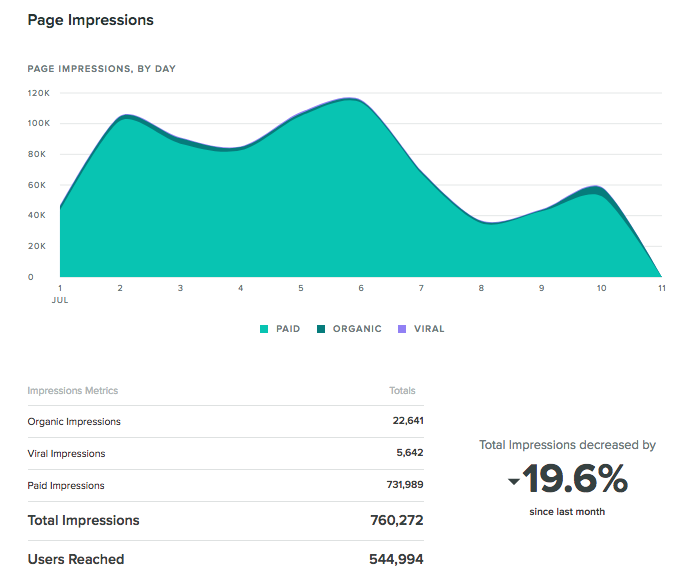 Another Facebook metric related to the visibility of your posts is impressions. While reach tells you how many people saw your posts, impressions measure the number of times your posts were seen. That includes if one post was seen multiple times by a single user. 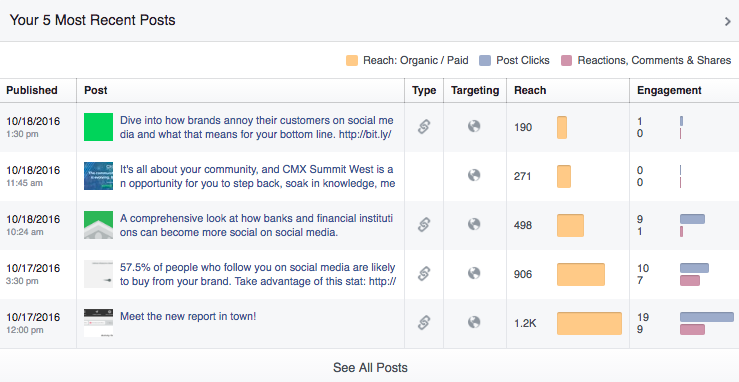 In your Facebook Insights, go to the posts tab. Click on the button for “reach” and switch it to impressions. Sprout also provides very detailed impressions metrics within our Facebook Analytics. Impressions can give you a good idea of the “viral” nature of a post. One person may get exposed to one of your posts multiple times. For instance, if they saw it once in their feed and then again when a friend shared it, that’s two impressions. With all the content being thrown at consumers on a daily basis, especially on Facebook, getting your content seen multiple times is necessary to get people to take action. It’s a play off of the rule of seven in marketing. The rule of seven essentially states that a prospect has to see your marketing message seven times before they take action. Although the rule of seven was a concept developed in the 1930’s, it’s still very applicable in the age of digital marketing. In fact, it’s probably even more relevant today than ever. Facebook referral traffic is the amount of visitors your website gets from Facebook. That includes traffic from people clicking links in your posts, traffic from other people sharing your articles or visits from clicks on your profile link. 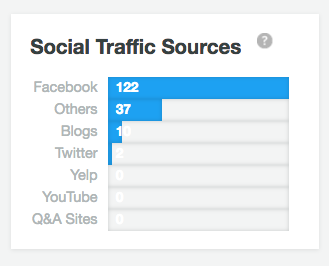 You can see your referral traffic in Google Analytics under Acquisition> Social > Network Referral. Google Analytics also integrates with Sprout, so you can see this data directly in our reporting tab as well. Facebook is great for building and feeding your community. But you’ll eventually want to get them off Facebook and onto your website to complete an action. To truly measure the success of content you share on Facebook, you need to look at your referral traffic. This Facebook metric means that people felt so compelled by your headline and description that they took the time to click through and read it. Your audience doesn’t like the content you’re sharing. Your headlines or descriptions aren’t pulling in people. Whatever the case, when your traffic from Facebook starts to noticeably decline, look into it because it typically means something’s off. You can see your total number of Likes or follows directly on your Facebook page. If you want to go more in depth, you can visit the Likes tab in reporting. Here, you can see how your page’s Likes trend over time, as well as your number of Unlikes and a breakdown of organic or paid Likes. Want even more data? Facebook also provides you with a breakdown of where your Page Likes happen. 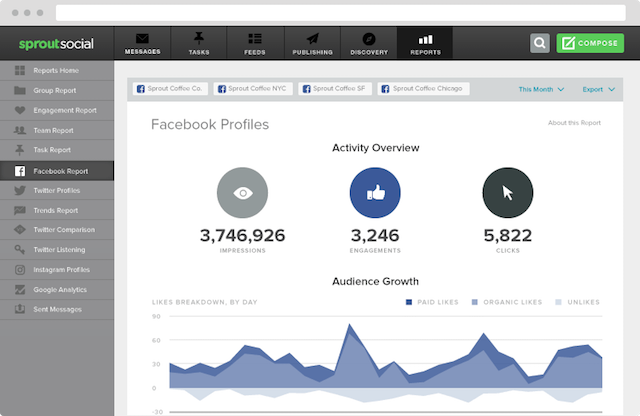 Alternatively, you can use our Facebook Analytics tools to see your audience growth as well. This puts all your Facebook metrics in one simple and easy to read report rather than having to navigate through multiple screens to get the data you need. Page Likes are often considered a vanity metric. They don’t represent how successful your Facebook marketing efforts are compared to engagement, reach or other metrics. You’re losing the same number of Likes as you’re gaining. New people aren’t following you. Ideally, you want to retain your current followers and add on new ones. But if you’re not measuring your audience growth, you’ll be left in the dark. 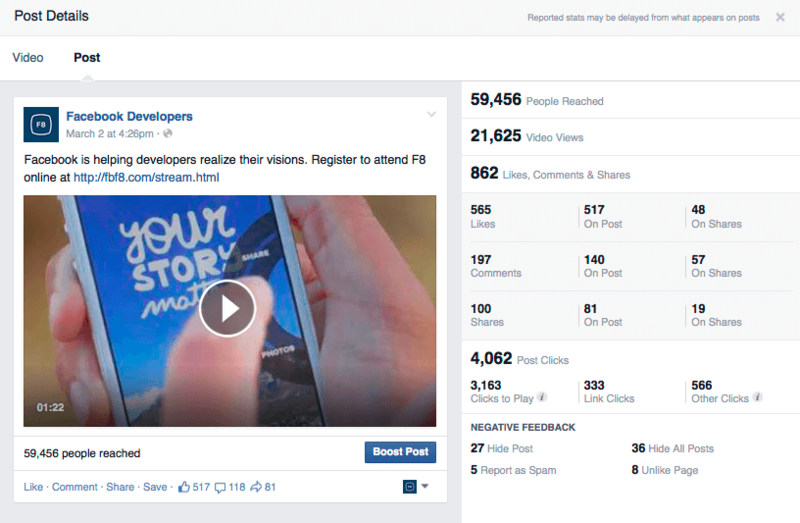 With video becoming such a large part of Facebook, more marketers are jumping on board. Facebook provides plenty of data to allow you to measure the success of your videos, whether you’re running video ads, live streaming or posting native Facebook videos. If you’re publishing 10 minute videos, but a majority of your audience only watches 30 seconds of it, you might want to consider cutting it down. To find out how what percentage of your videos people watch, you can check out the Post Details section in your Page Insights. You’ll be able to see where most of your viewers are dropping off, how many unique views you’re getting and more. Just like non-video Facebook posts, engagement is an important metric to monitor for videos as well. 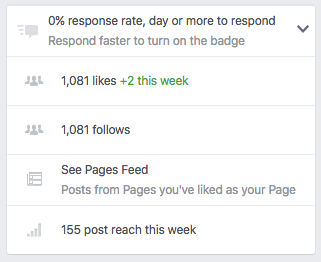 In addition to Likes, shares and comments, another engagement metric you’ll see here is clicks to play. 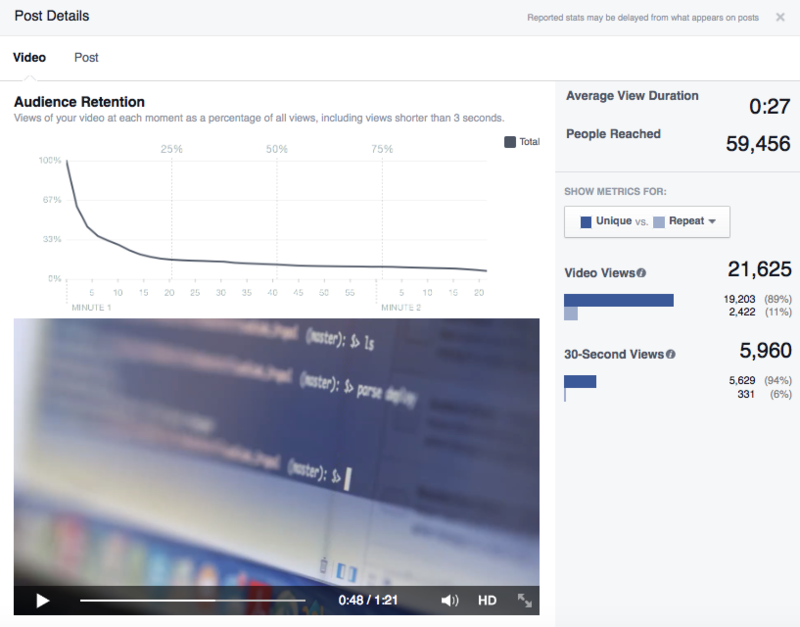 And again, you can also use Sprout to track your Facebook video metrics. Don’t just post videos and forget about them. Look through your Facebook metrics to ensure people are actually viewing and engaging with your content. Did you know you can schedule and publish Facebook videos with Sprout? Start your free trial! If you run Facebook Ads, you’ve probably noticed the extremely long list of over 100 metrics you can measure. Unless you’re a complete data addict, you’re most likely not going to measure a majority of this list. At the same time, you don’t want to exclude any important metrics that could improve your campaigns. So where’s the middle ground? Click-through rate (CTR) shows the percentage of people that see your ad and click through to your landing page. 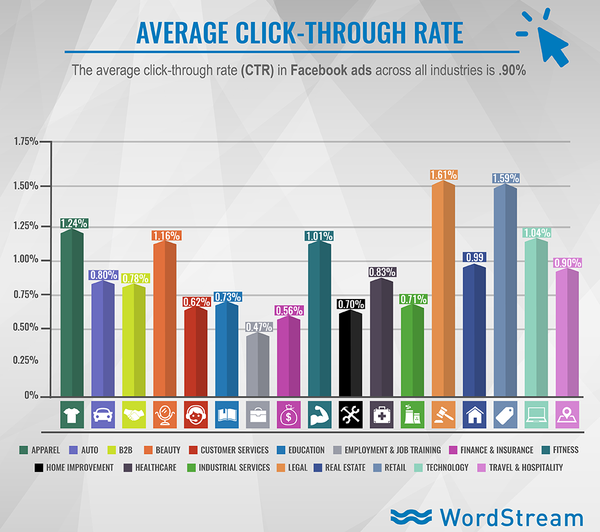 According to data from Wordstream, the average CTR for Facebook Ads across all industries is 0.9%. A low CTR means people are seeing your ad, but aren’t taking action. If your CTR is below average, try changing your ad copy and image to make it more relevant to your target audience. Tracking this metric is important because it directly impacts your ad’s relevance score. When Facebook sees your ads are getting impressions but no clicks, it logically assumes your audience doesn’t find the ad relevant. This can result in paying more per click and overall poor performance. So keep a close eye on your CTR. Facebook gives you a few options for how you’re charged for ads. The two most popular are cost per thousand impressions (CPM) or cost per click (CPC). It’s easy to get stuck on your total amount spent on your ads. But instead, we recommend paying attention to your CPC or CPM. It’s a better indicator of how efficient your spending is. Paying $500 for 1,500 clicks sounds a lot better than spending $500 for 250 clicks. Assuming it’s quality traffic of course. With CPM pricing, you’re charged for every thousand impressions your ads get. The turnoff for some brands is you have to pay whether or not anyone actually takes action on your ads. You’re strictly paying to have your ads show up, and hopefully your campaigns are good enough to drive engagement. CPM can be really helpful though if you’re testing multiple ad variations. It’s a quicker and less expensive way to find out which ads are winners or losers. With CPC pricing, you’re charged every time someone clicks on your ads. This is the most common option, since you’re paying for actual actions being completed rather than just having your ad show up. The downside of CPC is your ads may get fewer impressions than if you used CPM, particularly if your ads have a poor CTR. But that’s beyond the scope of this article. 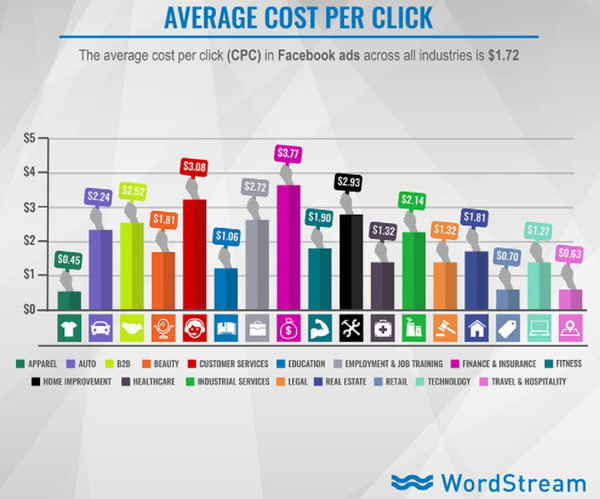 Check out our post on the cost of Facebook Ads for more info. If you’re wondering whether or not your CPC is too high, Wordstream found the average CPC across all industries to be $1.72. Whether you go with CPC or CPM, make sure you track the metric closely to get the most out of your budget. While Facebook is considerably cheaper than other ad platforms like AdWords, Twitter or LinkedIn, you can easily waste money with underperforming ads. Cost per action (CPA) answers the question, are my Facebook Ads paying off? Instead of just paying for a click or impressions, CPA measures your costs based on a specific action. For instance, an app download, email subscribe or even purchase. By measuring this Facebook metric, you can understand the ROI of your ad campaigns. 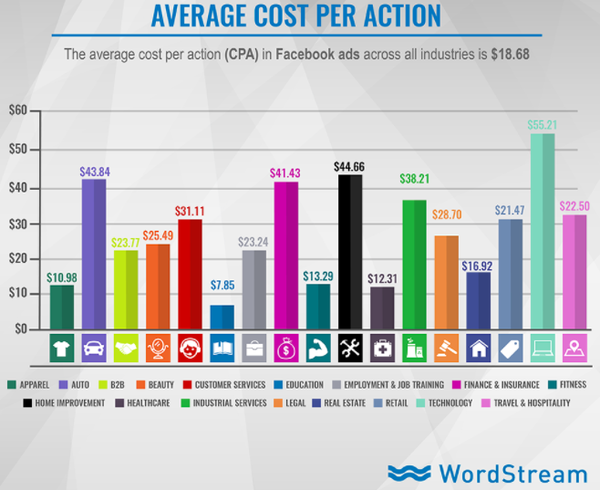 The average cost per action across all industries is $18.68. This is a Facebook metric that often goes overlooked by advertisers, but it’s very important. Ad frequency is the average number of times people see a specific ad. Remember the rule of seven philosophy we pointed out earlier? The rule of seven refers to people seeing your message seven times. That doesn’t mean the message has to be presented in the exact same format. If people see the same ad from your brand over and over, it can start to become stale and lose it’s impact. 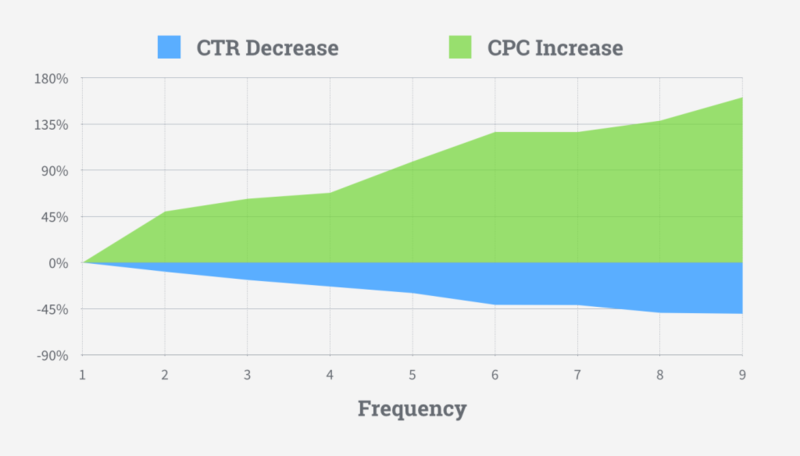 In fact, AdEspresso conducted a study and found that as ad frequency went up, CPC increased and CTR decreased. In order to prevent this from happening, keep an eye on your ad frequency. If people are seeing the same exact ad from your brand more than twice in one week, it’s time to rework things. One of the easiest ways to lower ad frequency is to create multiple variations of your ads. Simply change up the copy or visuals for each version. As you can see, there are a ton of Facebook metrics you can track. It’s up to your brand to decide which ones are important to you. Use the stats in this post as a guideline for where to start. What are some of the go-to Facebook metrics your brand tracks to measure success? Drop a comment below!